Fitness @ Impact is one of the "Best" gym chain of Bangalore. Walk in to Fitness @ Impact to experience the FITNESS NIRVANA. We are best in offering complete fitness solution including Weight loss, Strength training, Diet & Nutrition and general fitness for ladies and gents. Enroll now! 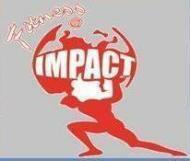 Fitness at impact conducts classes in Gym. It is located in Ittamadu, Bangalore. It takes Regular Classes- at the Institute.